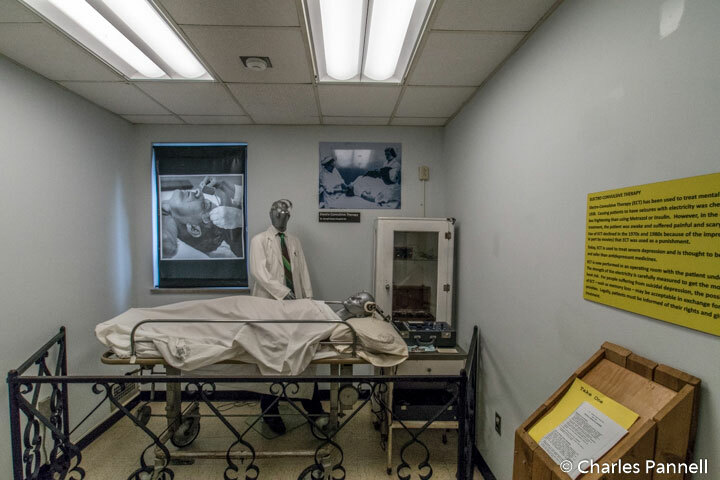 Named one the 50 most unusual museums in America, the Glore Psychiatric Museum (www.stjosephmuseum.org) offers a sobering, if not utterly terrifying look at the history of psychiatry and mental illness. Housed in the former medical, surgical and admitting building for the State Lunatic Asylum #2, this odd collection of artifacts not only gives visitors a new perspective on mental illness, but it also presents an eye-opening retrospective of some of the bizarre – and painful — psychiatric treatments used over the centuries. Granted, this St. Joseph museum is a bit hard to find – mostly because it looks like a hospital not a museum – but it’s well worth the effort. Accessible parking is located near the entrance, with level access over to the front door. 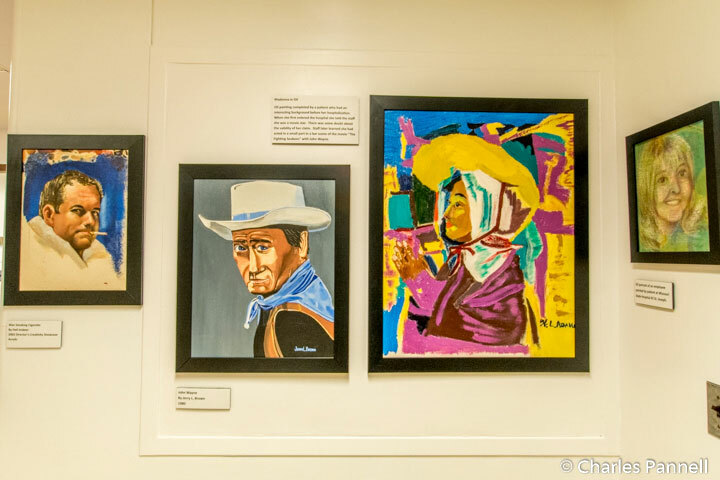 Other access features include barrier-free access around the exhibits, elevator access to all floors, and accessible restrooms on the second floor. There’s a small information desk on the first floor, but the best way to see the museum is to start on the third floor and work your way down to the basement. 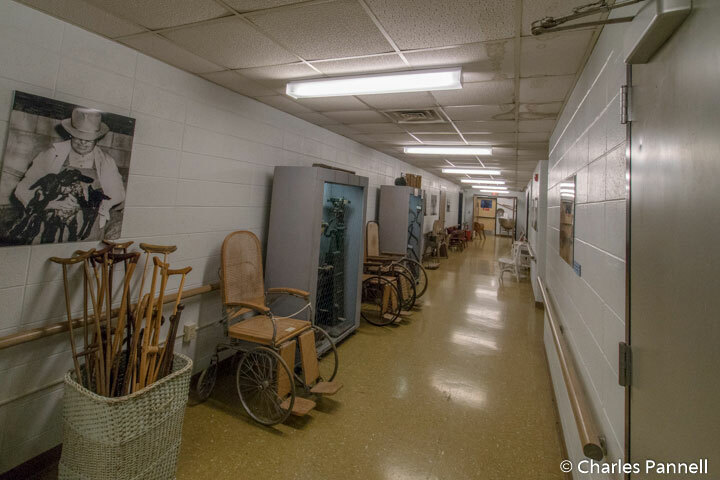 The third floor focuses on the history of the facility, and includes vintage photos, uniforms and an interesting collection of medical equipment, including a rocking chair with holes drilled in it for incontinent patients. To say the former residents lived in squalor is an understatement. The chapel and the music therapy room are located on the third floor; and it also houses an interesting collection of egg crate mosaics and other items crafted by the former patients. One of the most sobering art objects is a piece of needlework done by a schizophrenic patient nicknamed The Tatterer. Although this patient was non-verbal, she embroidered phrases like “September in the Rain” and “The words that won’t come back”, that perhaps indicated she was far more connected to her environment than anybody ever realized. Sadly she died in the facility, after living there for 30 years. 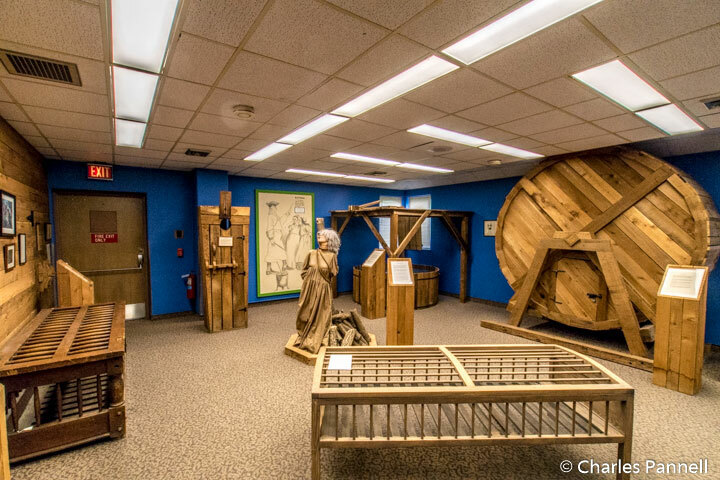 Down on the second floor there are a variety of exhibits that describe mental illness and the treatments used for it over the ages. Some of the treatments, like lobotomies and electric convulsive treatment, are familiar; while others, like fever cabinets, are more obscure. Used to treat syphilis by raising the patient’s temperature over 105 degrees, fever cabinets sometimes cured the patients; however they were also reportedly “terribly uncomfortable and caused burns.” Of course that seems tame compared to the 17th century practice of stomping on patients to cast out demons. 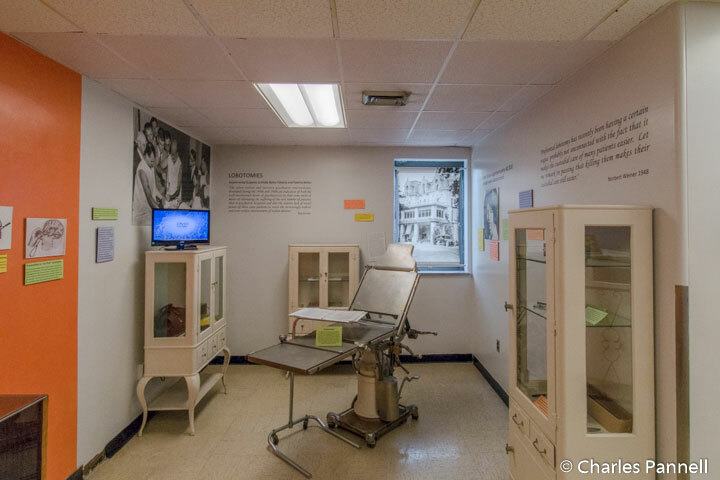 Round out this gruesome exhibit with a collection of restraints and an old dental chair and instruments, and you’ll realize just how far we’ve advanced in the medical field. Don’t miss the small exhibit that contains collections that people with OCD kept while they were patients in the facility. One patient collected 100,000 cigarette packages because he believed they could be redeemed for a hospital wheelchair, while another patient had an equally impressive collection of 438 neckties. 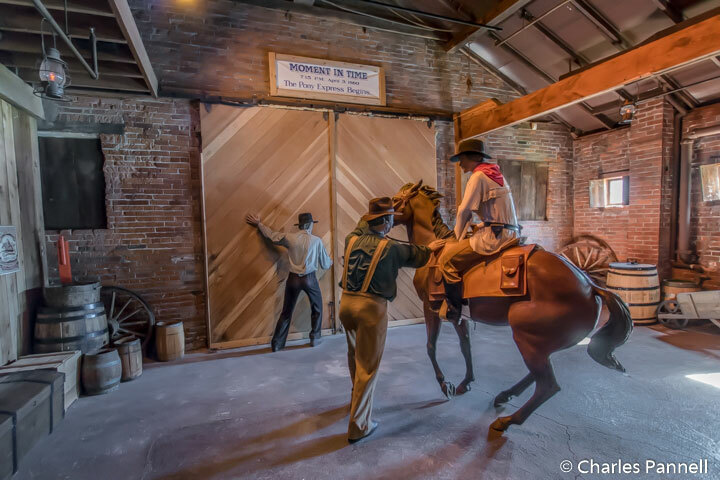 Last but certainly not least, head on down to the basement for a look at what’s probably the creepiest part of the museum. Used for physical therapy until 1997, the basement houses some interesting exhibits about the farming and occupational therapy operations at the asylum. But that’s not the creepy part. 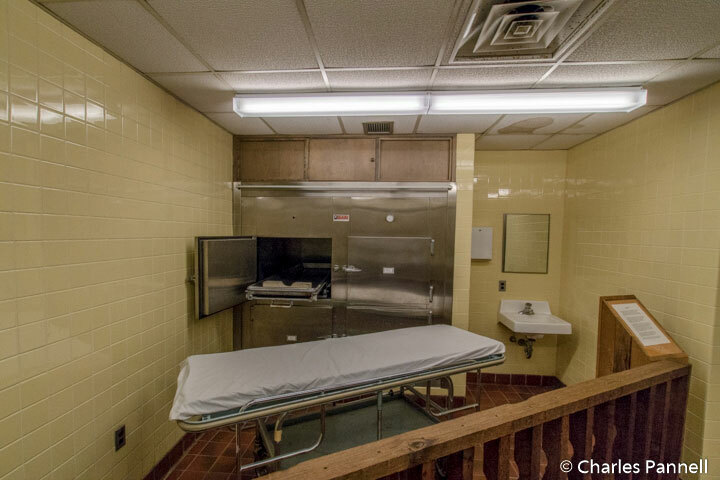 You’ll also find the morgue, the autopsy room and a few headstones down in the bowels of the building. Need I say more? In the end, it’s a very sobering museum — one that evokes a multitude of emotions. On one hand I’m relieved that we’ve advanced so far in the treatment of mental illness since the 17th century; but at the same time I’m also quite grateful that I wasn’t a psychiatric patient back then.